You probably own a pair of training shoes for sport or the gym, and a separate pair of comfortable kicks for everyday wear. That’s the way it’s always been — until now. We met up with siblings James and Josh Shorrock, whose backgrounds stem from Adidas and popular sneaker-loving platform Hypebeast, to find out more about their Hong Kong-based footwear brand LANE EIGHT. 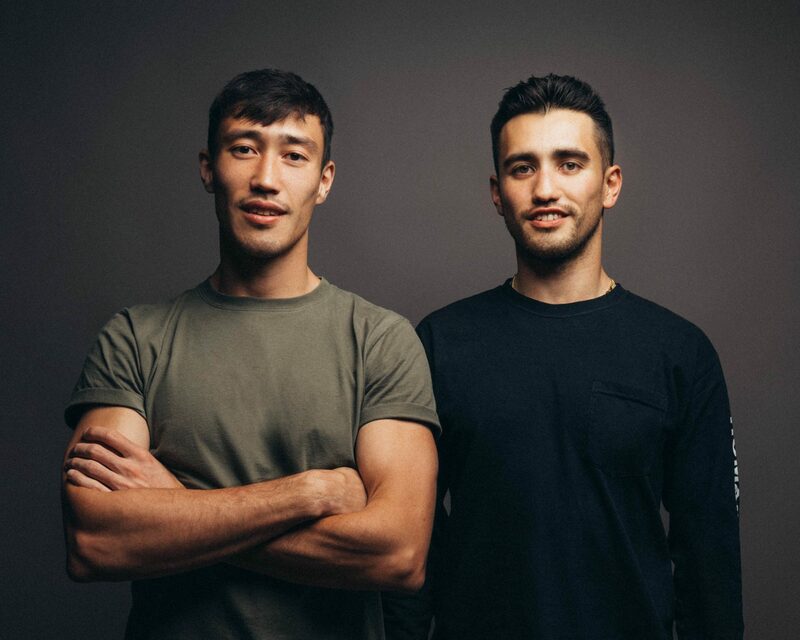 We discussed their performance-meets-lifestyle shoes, how they’re disrupting the footwear industry, and the challenges of being entrepreneurs living the startup life. Tell us about your business. What do you do? James: We are James and Josh Shorrock, two brothers and the founders of LANE EIGHT, a performance footwear brand that we officially launched in August 2018. We make footwear that combines performance, style, and comfort, all in versatile design that can take you from the gym to the office, to drinks after work, and back again. What's behind the name, LANE EIGHT? Josh: For the brand name, that was honestly one of the most difficult decisions, not because we had so many options, but because we couldn’t think of anything for the longest time. After weeks and months, James suggested the name LANE EIGHT with the explanation that lane eight is the outside lane on a track which is usually for the lowest-seeded competitor. It’s the underdogs’ lane with the odds stacked against you, but you’re still in the race. That’s the mentality we had then and now with LANE EIGHT. We’re the underdogs going up against the much bigger and established footwear brands, but we’re still in the race. Tell me about your best and worst day at work? James: Our best day was probably the official launch. We’d been working on LANE EIGHT for over a year, just the two of us, and it was so gratifying to finally get it out there. As far as the worst day at work, that would probably be the day leading up to our official launch. It was such a nerve-wracking and stressful experience — making sure everything was ready to go. Suffice it to say, it felt like a very, very long day. Josh: We both enjoy keeping fit, whether it’s going to the gym, playing footy [football], pick-up basketball, or going cycling. Aside from that, we’re both into our food so we’re always looking for new restaurants to check out. James: The only thing I would do differently is to start LANE EIGHT even earlier! I wish we’d been doing this for years already! Josh: We probably should have done more research into our target market/consumer, but at the same time, approaching the product and brand creation process with a bit of naivety allowed us to build LANE EIGHT without compromise. The Shorrock brothers with the team at their factory in China. What is a normal work day like for you? James: We’re usually in the office between 8 and 9am. First thing is coffee, and then we’re going through emails and attending to anything urgent. We have a lot of partners in the US so we’ll often have calls to the States in the morning. Josh: We try to get in a few workouts as a team every week so we’ll do a group workout during lunch and then grab a quick bite on the way back. And then we’re back in the office until we call it quits between 6 and 7pm. Late evenings are usually reserved for more calls to the States. What advice would you give to someone looking to start up? James: Fully commit to your ideas. We dived straight into the deep end when we launched LANE EIGHT. We quit our jobs and didn’t have a fallback so we were fully committed. That might not be the most sensible thing but sometimes you have to get out of your safety zone and just go for it! What would you be doing if you weren’t running LANE EIGHT? 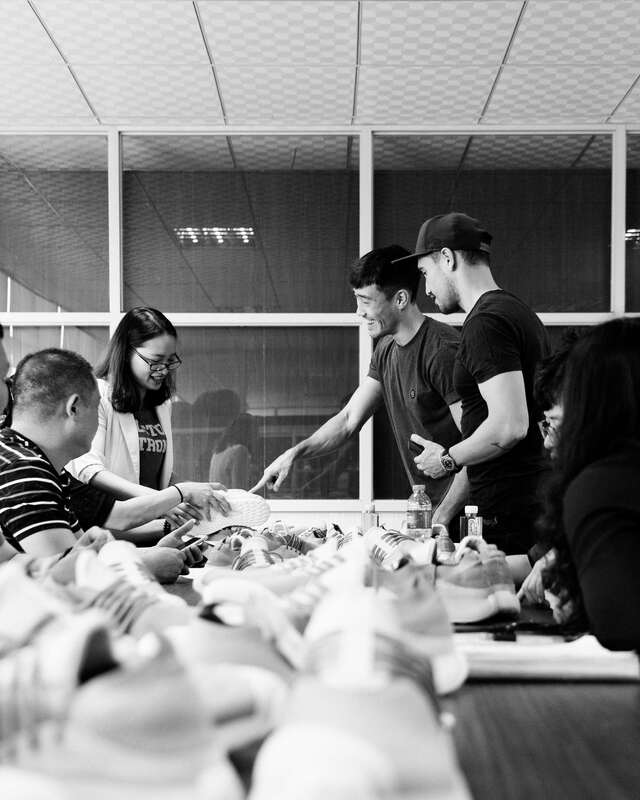 James: Having started LANE EIGHT, I don’t think I could go back to working in a normal corporate environment so I would definitely still be in the startup life. Josh: I would probably still be working in the footwear industry in one way or another, either at Adidas or another brand. As a child, what did you aspire to be? James: I wanted to be a football player, a doctor, and a superhero — all at the same time. Josh: I wanted to be a professional ice hockey player. What has been your biggest hurdle? James: Every hurdle has felt like the biggest hurdle, but one that sticks out in particular has been education. As important as shoes are, there’s still a lot of confusion and misinformation when it comes to footwear. James: As a company, we try to keep things simple and communicate in plain English so that our customers know what’s actually in our shoes. I find it so ridiculous when you see product descriptions for footwear that tout a long list of trademarked or patented technology and features that mean absolutely nothing to the average customer. James: We’ve been living in and out of Hong Kong for a long time now, and we grew up moving on average every two years growing up. When we settled in Hong Kong for high school it just felt comfortable and so we’ve been here ever since. On a pragmatic level, Hong Kong is close to our supply base and one of our core markets [China], so its a favourable place to setup a business. Plus Hong Kong happens be the world’s largest air freight hub, which has allowed us to ship to customers worldwide very easily. If you were to invest in another start up, what would it be? James: If I had more money to invest, I’d bet it all on LANE EIGHT. Josh: If I had to invest in another startup, it would probably be another footwear brand, one centred around sports and/or 3D printing. What are your goals for 2019 and in the near future? James: Our biggest goal for 2019 is to expand and solidify our presence in the US. It’s our largest market and we’ve seen tremendous success with both our retail and gym partners in the first six months of operation. 2019 is all about building upon the success we’ve had and continuing to grow our business in a sustainable way. Josh: We are very hands-on! We may be the co-founders, but we’re also basically the interns, the janitors, the customer service reps, etc. At this early stage we need to be as hands-on as possible simply because there aren’t many hands available, and it would feel wrong to us if we weren’t actively involved in all parts of our business. James and Josh at their factory reviewing the materials for their performance footwear. How do you define success? Do you consider yourself successful? James: We define success as the ability to turn a passion into a living, one thats sustainable. Because it’s still early days we don’t consider ourselves successful yet, but I feel we’re trending in the right direction.